Happy Friday all! I hope you've had a great week. It has been very wet here all week and quite chilly for May. I'm hoping the sun makes an appearance this weekend! I have several images to share from a puddle jumping excursion with my youngest. 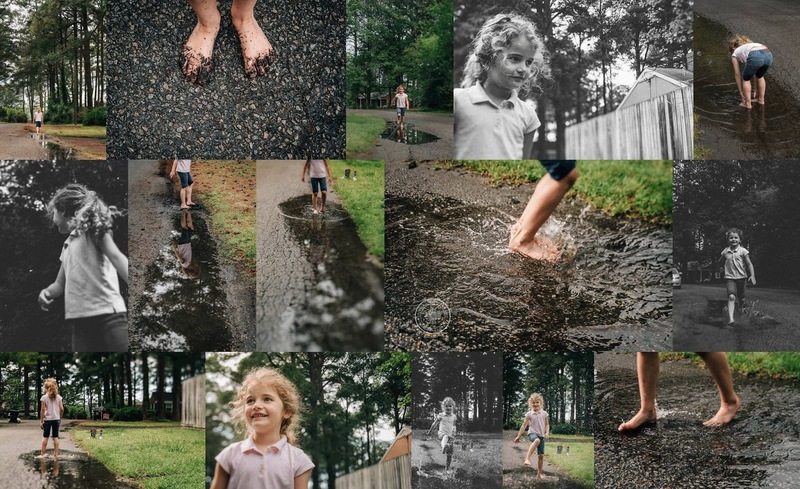 When the sun peeked out one afternoon, we headed out to find some big puddles to play in. It was a fun little session that ended in muddy feet and lots of giggles. Thank you for visiting. Have a wonderful Mother's Day weekend!! Looks like it was a fun day playing in the puddles! It has been a wet one here to this week (I live in Raleigh, NC). Thank you for sharing, I found your blog through another linkup and have added you to my blogger follow list! So fun... what a great memory you two made together. I wish I woudl have made more of these types of memories with my kids. 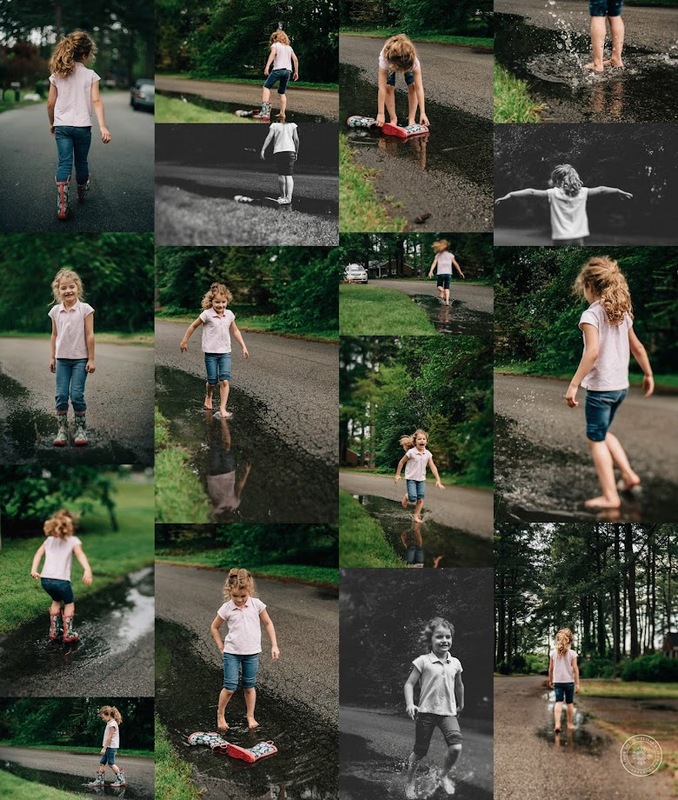 Jumping in puddles is such a memorable joy of childhood!